Angela Boehm has been working in the theater and film industry for the past 25 years. Starting as an assistant, and using each experience to hone her craft and grow in her field, she was able to build her resume and career. In 2017, she received her credentials as a member of the Casting Society of America, and has become one of the most sought after casting directors in Ohio. Angela has worked on feature films such as The Last Witch Hunter, My Friend Dahmer, Fast 8, Little Evil, Whiteboy Rick and Native Son. Her work extends onto the small screen, as well, working consistently with Nestle on national campaigns, AP Bio, and nationwide searches with Disney to cast shows and movies like A Wrinkle in Time. 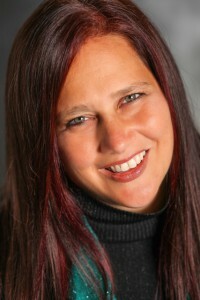 As a trusted name in the entertainment community, Angela has connections with agents in major cities throughout Ohio, Pennsylvania, Kentucky, Michigan, Illinois and beyond. With an ever-growing database of over 10,000 SAG and non-union actors, and a strong team of individuals, Angela Boehm Casting is able to ensure every project receives the perfect cast.